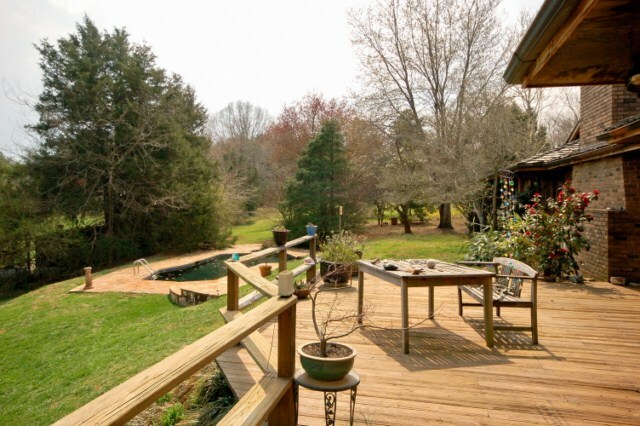 Live in the heart of Carolina Horse Country. With a prime location on the CETA Equestrian Trails, Winterbrook Farm is surrounded by other large equestrian properties. 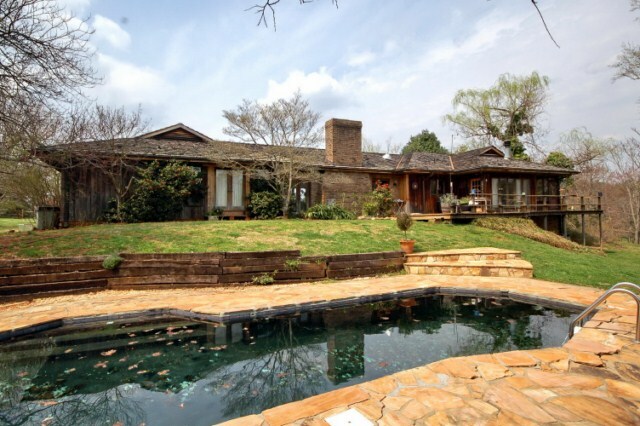 The farm boasts a California ranch style home, year round mountain views, private 2 acre pond, in-ground swimming pool and extensive landscaping. Horsemen will appreciate the barn with guest/trainer suite, outdoor arena and multiple paddocks.Winterbrook Farm is located only 5 minutes from shopping, dining, I-26, FENCE and the future Green Creek Equestrian Center. 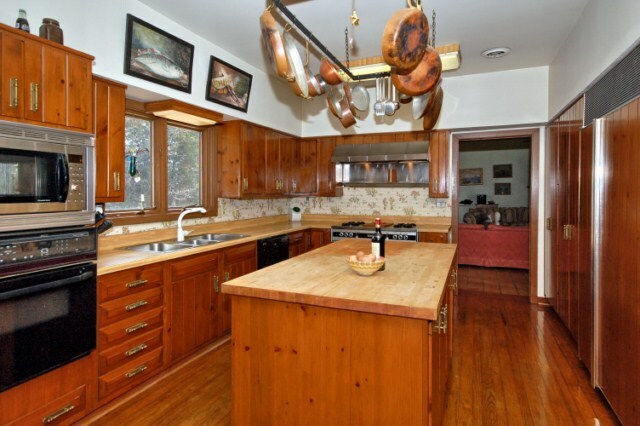 Built in the 1970’s this California ranch style home is well maintained and true to its original design. Prairie influences give the home a distinctive personality. The one story architecture and asymmetrical arrangement of small and large spaces provides and informal feel with plenty of privacy. In the living room, a large brick wood burning fireplace with handsome mantelpiece serves as the focal point. 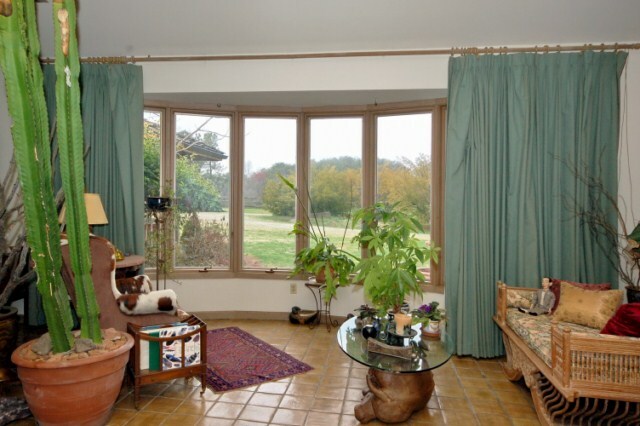 The French doors on either side of the fireplace provide plenty of natural light. The room also includes exposed wood beams, built-in shelving and a wet bar. Spanish tile adds to the prairie feel of this home. A large bay window located at one end of the spacious living room frames picturesque views of your pastures and the mountains beyond. 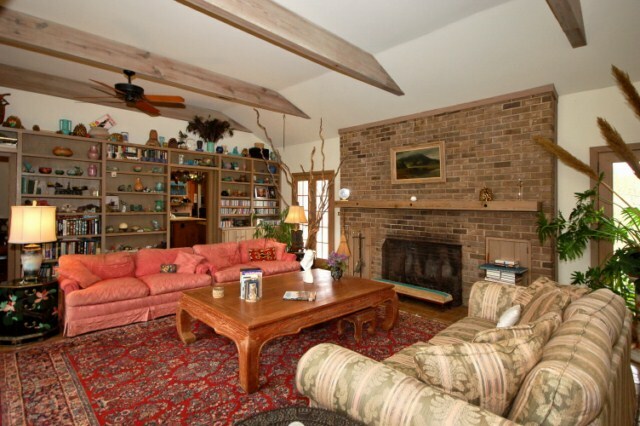 Notice the beautiful Spanish tile floors throughout the main living area. The galley arrangement of this spacious kitchen offers a center island with plenty of workspace. The ample wood cabinets and additional pantry provide storage. 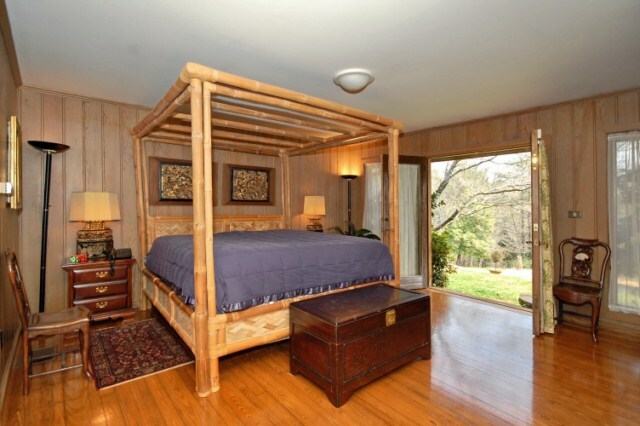 The room boasts hardwood floors and plenty of natural, ambient light. Offers easy access to the formal dining room and family room. 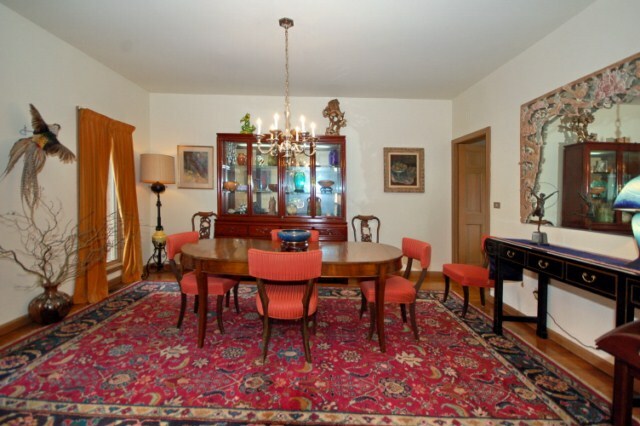 The formal dining room offers easy access to the kitchen and family room. Oak floors accent the room. The breakfast room offers warm wood paneled walls and the wood burning fireplace makes this light-filled room a delightful venue for enjoying multimedia, small family gatherings or private relaxation. The flush mounted Roman - style garden tub in the master bath is sunkened with a floor-to-ceiling glass sliding door. This arrangement brings the feel of the outside in. 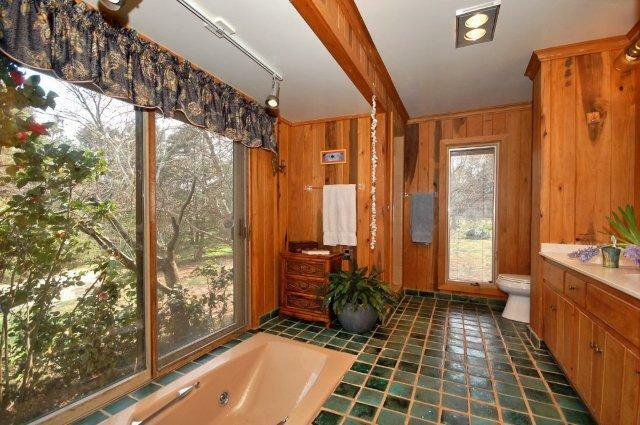 Views from the soaking tub extend across the pond, pool and extensive garden area. The large wooden deck enhances the entertainment area of the home. A loggia covers a section of the deck, providing shelter from the sun while still creating a spacious and convenient outdoor venue. This totally private space is softened by hanging plants and trellises. This in-ground pool is private and inviting and recently refinished. Notice it is enhanced by beautiful stonework on the patio and the surrounding steps. At Winterbrook Farm, the private gated drive winds through mature park like grounds and mature landscape. 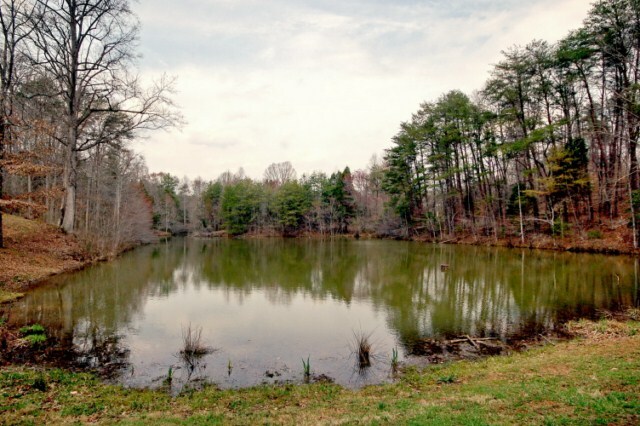 The farms 2-acre spring fed pond is stocked with fish.The current owner has taken special care not to disturb the natural ecology with pesticides or herbicides. 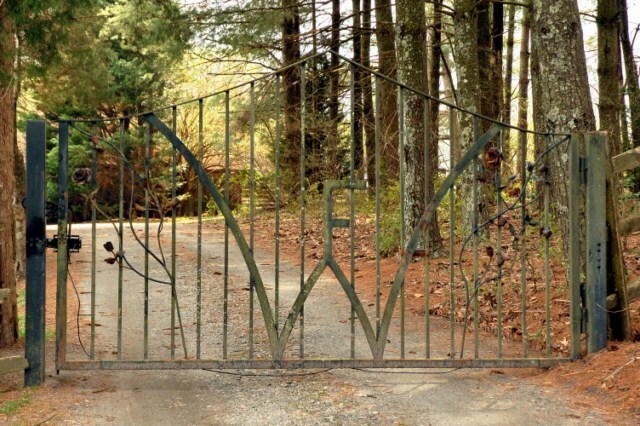 This practice has helped Winterbrook Farm remain a haven for flora and fauna. Equestrian Facilities: Located on 28.5 acres along Collinsville Road, Winterbrook Farm is a well known established horse property. The farm’s direct access to the CETA Trail system provides miles of deeded trail riding access. The barn is most adequate and the stalls can be arranged for single box stalls or four double sized foaling stalls. The barn also includes tack and feed room plus guest/trainers apartment. Equestrians will appreciate the farms multiple paddocks and a full-sized fenced grass arena. The Location: Winterbrook Farm enjoys a prime Collinsville Road location in Columbus, North Carolina, a rural setting composed of large horse farms. This locale offers proximity to I-26 as well as shopping, dining and social entertainment. The property is only a few minutes to the Foothills Equestrian Center (FENCE) and the future Green Creek Equestrian Center. The farm is also within hacking distance to one of the Tryon Hounds hunt fixtures at “Still Creek”. The foothills region offers a full range of equestrian services including tack shops, feed stores and a state-of-the-art equine veterinary clinic. Only 15 minutes from the new Tryon Resorts & International Equestrian Center. TIEC is North Carolinas newest national caliber equestrian facility with 5 competition arenas, 500 permanent stalls, and a host of great amentities for both exhibitors and spectators alike.